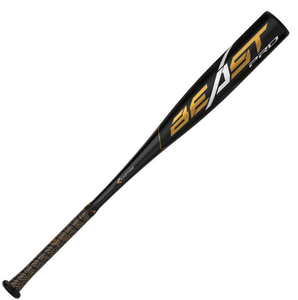 Experience loud, powerful, brute strength with the new Easton Beast Pro. ATAC Alloy construction provides a light, yet powerful barrel, and the new Speed Cap helps create a more flexible and responsive barrel, while also enhancing the sound of the bat. This design has a 2-5/8” barrel and features a custom Lizard Skin grip for the best feel, cushion and tack.